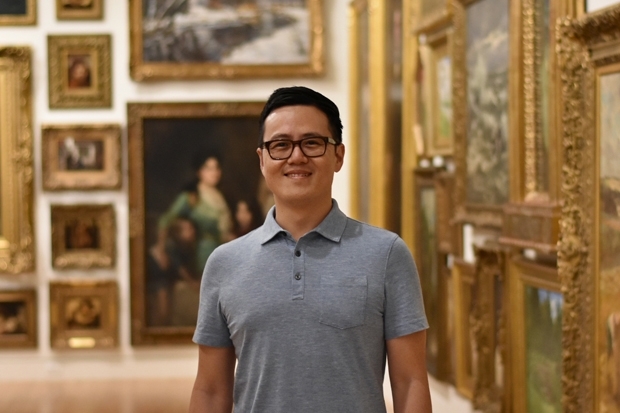 This fall, Gary is co-teaching The American Mid-Century, a course designed to give participants a deeper understanding of our landmark exhibition Abstract Expressionism: Looking East from the Far West, opening Sept. 7. His teaching partner is the exhibition’s curator, Theresa Papanikolas, who is also the museum’s deputy director of art and programs. 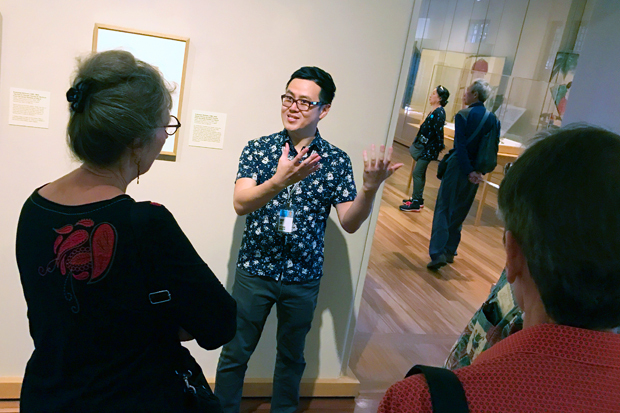 Taking the exhibition as a jumping off point, the course expands upon the traditional canonical understanding of Abstract Expressionism by connecting the movement to Asian art and the work of Hawai‘i-based artists. “In-class lectures will cover the most famous practitioners—Pollock, Rothko, De Kooning—and then there’s the Hawai‘i component with work by Bumpei Akaji, Harry Tsuchidana, and Tetsuo Ochikubo,” he says. The class will also feature guest lecturers like Stephen Salel, the Robert F. Lange curator of Japanese art. While The American Mid-Century has already filled up, interested students can join the waitlist by emailing Art School registrar Kelsey Karsin at gro.muesumululonohnull@loohcstra. And you can take advantage of Gary’s knowledge in another class—Realms of Buddhist Art starts Nov. 3 and space is still available. Gary is also an accomplished musician—you can catch his band, the Drowning Dreamers, on Sept. 13 at Downbeat Lounge. Do you know about Kazuaki Tanahashi, his art and time here at the East West Center and later his demonstration class at the UHM Art Department? I would like to meet you and discuss my friendship with him and his major link to the Abstract Expressionism exhibit.